I received my Feelunique’s Pick ‘N’ Mix selection below during the week. As advised before you can pick five ‘free’ samples from a selection of samples available while stocks last (one selection of samples per month) – you are charged £3.95 for shipping and handling fees although you can redeem this against any future order (excluding Pick ‘n’ Mix) via a £3.95 gift voucher you receive in your follow-up email. 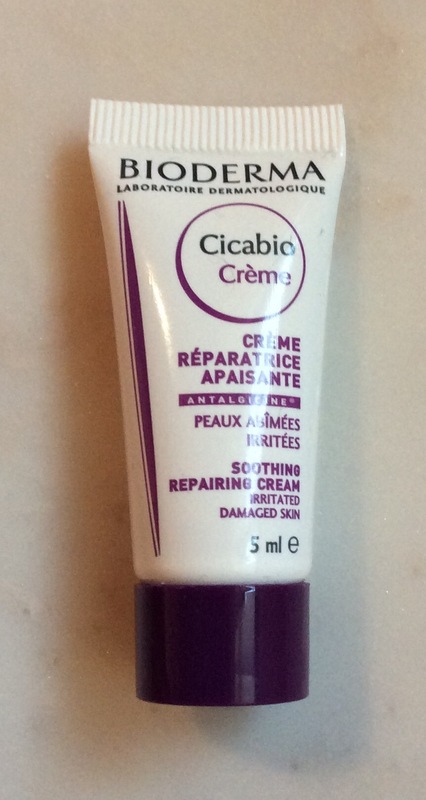 Bioderma Creme Reparatrice Apaisante (5ml tube) – never tried this before either but as it states it is a soothing repairing cream, thought it was a perfect product to try as also states, restores relieves and purifies. 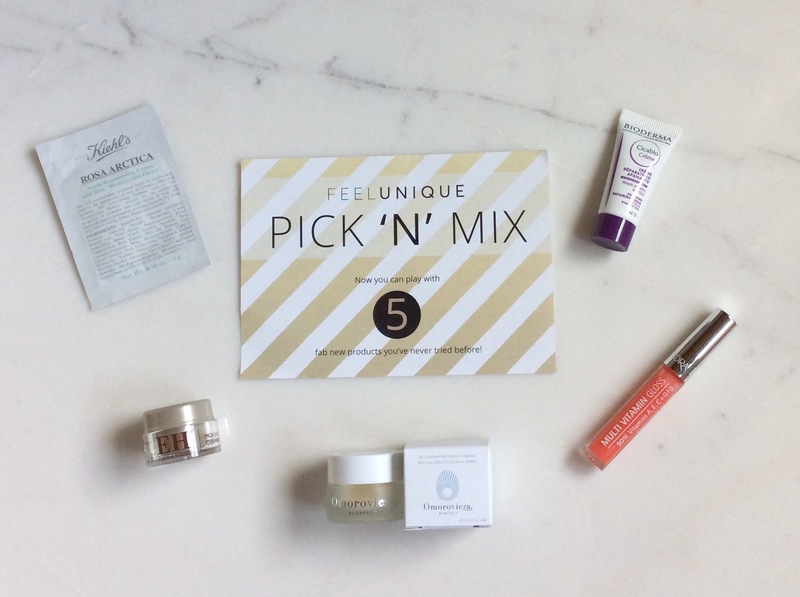 Happy with my selection this month, maybe not my favourite to date but will definitely continue to use the Pick ‘N’ Mix as and when I see samples I want to try or already love. Remember the more generous sample sizes / make up samples go quickly but as long as you regularly look through the sample choice you should always see something you want to try. I also love that the service is not tied to a subscription. I highly recommend trying it for yourself as a great way to try products for ‘free’ prior to purchasing especially if you make a future purchase through Feelunique to enable you to redeem your £3.95 gift voucher(the charge for shipping & handling fees) (if new to Feelunique you can use my code here to get £10 off your first order with a £30 minimum spend).